And yet ANOTHER fun new item we’ve designed this year. 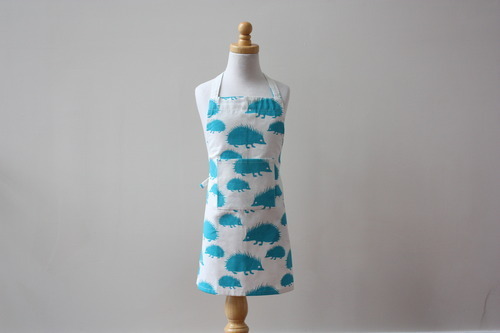 We think the tiny pal in your life would look adorbs in our new teal hedgehog kid aprons as they are helping make holiday sweets this season…don’t you? Available in an assortment of colors and designs in the shop and online!